Synise Technologies, a part of $2.5 billion Kalyani Group, today said that it has entered into an association with cloudBuy, a UK based and LSE listed company for operating a B2B market place and sourcing from India in support of the Indian Governments ‘Make in India’ campaign. The partnership aims to create a B2B market place that will cater to procurement of indirect material by various industries like Auto/Auto Ancillaries/FMCG/Textiles/Capital Goods etc. The collaboration will help improve on Synise’s existing outsourcing of procurement with cloudBuy’s solutions that offer sourcing to payment, making the final offering more efficient due to use of technology. The system also adds many features and offerings such as spend analysis, contract management, payment facilities etc. Additionally, the existing clients of Synise can procure through the market place and save on their procurement cost. The market size in India is estimated to be $2 billion for indirect material. 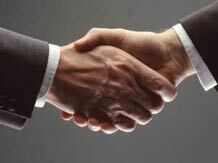 The company said that the partnership aims to capture a sizable share of the same in the next few years. Ashok Dani, CEO of SYNISE commented: “The Gulf States are India’s largest trading partner and we have the largest group of vetted high quality Indian suppliers. The Government of India is encouraging PSU, ST and ULC sectors to adopt e-procurement and as the market is still at a nascent stage in India, there is a tremendous potential for e-procurement services in the country. Complementing the new governments campaign to drive growth in India nationally and internationally, this association will help businesses leverage the advantages and efficiencies of leading e-business applications and with end to end solution i.e. identification of sources, approval of samples, monitoring shipping etc. Ronald Duncan, Chairman of cloudBuy said: "Having come directly from meetings in the United Arab Emirates where we have opportunities that are a perfect synergy with the "Make in India" campaign, it was great to immediately finalise a deal that will support Indian exports to the Middle East and the rest of the world"
Synise is India's leading procurement service provider with over 80 clients and over 15,000 supplier base. Synise offers various services in the procurement space to large corporates in India, and is a one of the leading players in eAuctions for procurement as well as sale of industrial products. cloudBuy is a leading global B2B marketplace which recently extended their partnership with Visa Asia Pacific for 5 years. They have over $500 billion in B2B spend on their analysis platform and have created a number of leading marketplaces around the world. cloudBuy promoted by Ronald Duncan, a two time Olympian, is headquartered in London and has offices in US, Australia and India.